Click on any image to view a larger version and open the gallery lightbox viewing tool. To save the High Resolution image, click on the download link below each image. 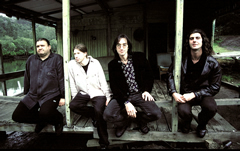 Sydney based Psycho Zydeco, or the Psychos as their fans affectionately dub them, have established themselves at the forefront of the energetic uplifting style of music known as Zydeco. This music was originally born in the swamplands and bayou area of Louisiana's Deep South. The band's earthy blend of traditional Cajun, Blues and Swamp music produce a heady mix of their Australian brand of Zydeco. Driving washboard, drums, guitar, saxophone and the odd industrial sized triangle combine with some amazing accordion playing creating music that will make you feel so good you will want to grab a washboard and get up on stage and start scraping. 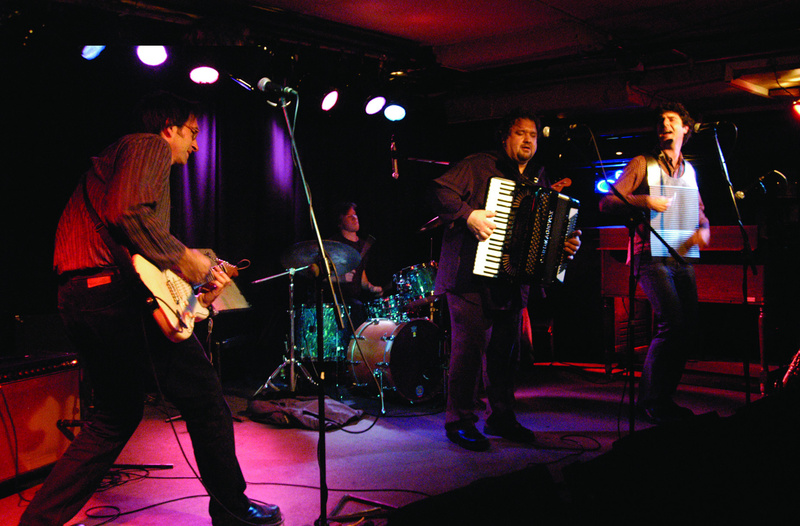 Through some 20 years Psycho Zydeco have released several albums, toured internationally and performed at festivals big and small, and generally helped spread the beauty of the zydeco sound. Stefan Sernek: Vocals, Accordion and Bass. Gregg Hatton: Vocals, Guitar, Washboard and Triangle. Christopher Wilson: Vocals, Saxophone, Washboard and Triangle. Cajun and Zydeco music were spawned from the melting pot of cultures that is New Orleans and Louisiana. When French speaking Acadians were exiled from Canada in the 18th century, many settled in Louisiana alongside the local Native American Indians, African slaves and European colonists already living in the region. They became known as Cajuns and their folk music became influenced by the surrounding cultures. Originally the button squeeze-box, fiddle, whistles, triangle and washboard were used until a man by the name of Clifton Chenier in the 1940s strapped on a full size piano accordion and backed himself with a red hot blues band. Rhythm n Blues and Soul music were mixed with the style of Cajun in the early 1900s by black Creole musicians and Zydeco was born. There are two instruments vital in creating the modern day zydeco sound: the squeeze-box (accordion) and the frottoir (washboard). 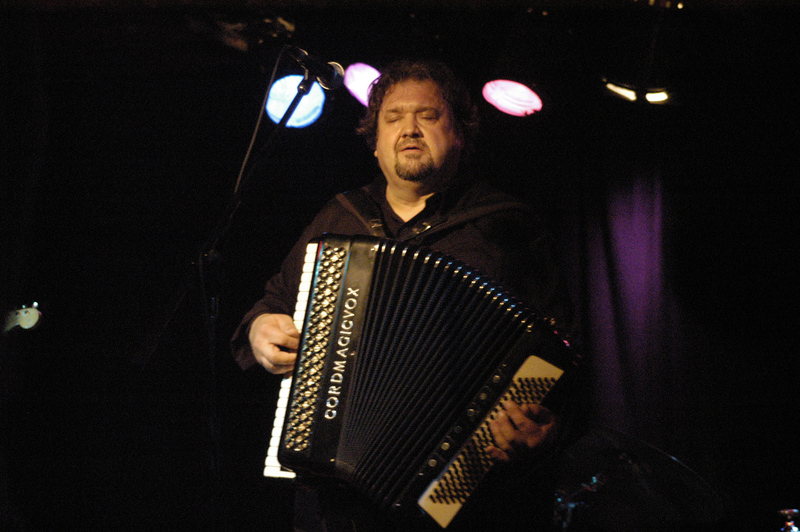 Originally, the button accordion was used to play zydeco, but in the late 1940s a man named Clifton Chenier (known today as the grandfather of this music) coined the phrase "zydeco" and strapped on a full sized piano accordion, he sent it into the stratosphere by amplifying the accordion and playing it like a blues guitar out the front of an all electric blues band.